I've been starting to use this as well recently, when I stumbled upon the info in user profiles. I think it's a really good improvement to get more people actively involved in the issue queue, so we can only applaud that. Thanks Git team for exposing this! I tend to encourage patch contributors to commit the change locally writing the commit message themselves, and then export it using git format-patch. After that I will just have to apply it using git am to have them credited in the project history, if the commit message is not perfect I first try to make the author fix it (education is slow but rewarding in the long term), and only if strictly necessary I operate on the commit using git commit --amend. I think this is the “git way” to contribute single patches, I see git diff and git apply as tool meant to develop a change more than committing it permanently to the project. and this is best done letting git fire up the editor to compose the commit message interactively. For trivial changes using only the short form is OK of course. It's funny that we talked about this a couple days ago, and when I googled for more info I find your post. Anyway, I'm trying to do this correctly from here on out. 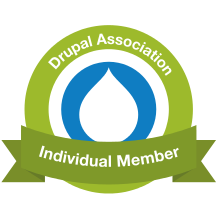 But my first attempt has yet to "take" on drupal.org. I'm hoping it just takes a while for drupal.org to update the committers page. Thanks Ryan. I've been doing this incorrectly for the last few commits, so I intend to do it this way from here on out. By the way, I recently learned about a Greasemonkey script called Dreditor which streamlines patch review. Specifically, it adds a button called "Create commit message" which automatically creates the git commit message for you, including the authoring info, so you can just paste it into your command line and go. Pretty slick! I've seen those dreditor created comments before but hadn't tried out the script yet. I really should with as much review as I do.